Stand Alone ONLY - Not Built in. With their sleek modern design, Danby Wine Cabinets are a great choice for a fresh new look. Offered at a cost effective price, Danby wine refrigerating cabinets are great for both the new and budding wine collector. Supplying both built-in and stand-alone wine cabinets, Rosehill carries a variety of Danby’s best-selling wine cabinetry. Whether Silhouette, SELECT or Designer, Danby’s wine cabinets come finished with glass doors and stainless steel trim. These wine coolers offer a variety of storage solutions. Want something good for both you and the kids? 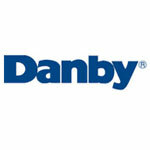 In addition to wine cabinetry, Rosehill also carries some of Danby’s other most popular refrigeration units. Choose from our selection of Danby SELECT Beverage Centers which allows wine, pop and other drinks to be conveniently stored. Hosting a large Adult-Only soirée? Check out our Danby Keg Cooler which can accommodate a full or pony sized keg!